It may seem odd to think about how to prepare for economic collapse and the possibility of a complete US or a global imminent economic collapse right now. After all, the stock market is up and unemployment is down- things have gotten markedly better than they have been in years. There are those that believe that we are in the exact same place we were in 2008, right before we slipped into one of the worst recessions in US history. With our stock market set up with artificially inflated numbers due to an overly aggressive bond-buying program, we may soon see the entire economic system collapse upon itself. The entire market is currently predicated on a system of borrowing and investing and financial engineering that can’t bear its own weight. So that raises the question; how to prepare for economic collapse? We don’t mean the stock market dropping a little, or the price of gas going up a few dimes. We mean to say the complete collapse of the economic marketplace that would make your bank accounts void and the currency in your pocket to become worth only as much as the cost of the paper. What if you had a newborn or small child at home, you as the head of your household have an obligation to protect your family. You need to know what is going to help you and your loved ones survive an economic collapse. 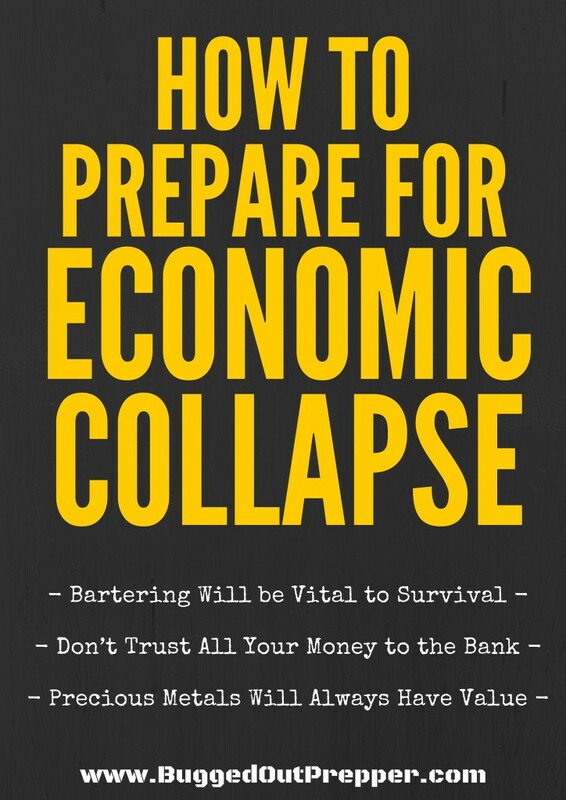 3 Tips on How to Prepare for Economic Collapse! Bartering is our oldest system of currency; physical goods or services for physical good or services- square deals built on a handshake. When money becomes worthless, barter will once again become the currency of the common man. That means you need to have either goods to trade, or a trade to ply. A few good items that you can stock up on now that will have huge value include personal toiletries, salt, liquor, staple foods, and if you have the ability and room- livestock and small game. As for trades, make sure you have some skills that will be in demand. You may be a marketing director now, but there will be little need for those skills in a collapse. Find a skill that will have real value; whether it is gardening, blacksmithing, knife sharpening, vehicle and mechanical repair, carpentry- anything that can provide a real and practical value. If the grid went down tomorrow every dollar in your account would float away like so much data. Don’t leave your survival to chance. While paper money will eventually become worthless, in the beginning cash will be king. There will be those who believe the system will right itself and they will be rich with all the cash they make. Keeping this in mind, start stashing away a little bit of cash every time you can. $20 here and there, maybe $100 when you can- anything to start a safety net of cash. Eventually once you have a pretty good stockpile, say $5000, you should start considering a real investment. Even as our dollar lowers in value every day, precious metals like gold and silver are steadily climbing in value. In 2006 gold was priced out at $472 dollars an ounce. As of this writing, it has climbed to a staggering $1,132.85. It has nearly tripled in value over a 9 year period. You won’t find a stock market investment that will yield that kind of return. As the dollar deteriorates, it will be precious metals that our economy turns to. When answering the question how to prepare for economic collapse you have to keep in mind that disasters don’t really care very much whether you believe in them or not. That’s part of their strength, they happen when we least expect it and often despite our best efforts and intentions. You owe it to yourself and your family to be prepared for the very real possibility of a coming economic collapse. Nothing we have talked about here can hurt, it is all solid and logical. The only thing you are doing is giving yourself the peace of mind that you can protect your family and continue to provide for them. Comment below with any suggestion on how to prepare for economic collapse. I think that most of us have a somewhat idealized vision of bugging out. We see it more as a way of getting away from it all and enjoying some time communing with nature. When we imagine ourselves on a bug out, we see nice weather, beautiful mountain scenes and a deer in our sights. Nice picture, isn’t it? But then there’s reality. When the time comes to actually bug out, it’s probably going to be cold, wet and miserable. The highway will turn into a parking lot and we’ll be stuck abandoning our cars to head out on foot. It will be muddy, our flashlight won’t work, and we’ll have trouble finding anywhere at all to camp for the night, let alone an “ideal” campsite, like we saw in our imagination. With all the rain or snow, starting a fire will be an exercise in patience, rather than a demonstration of our survival skills. Weather has a nasty way of playing tricks on us, especially at times when we need it to be cooperative. So, instead of planning the ideal bug out, we’d be much better off planning on everything going wrong. That way, we’re ready if it does and if the weather is actually nice, we can be pleasantly surprised. Bugging out in bad weather adds a lot more challenges to our survival scenario. The biggest is trying to keep warm. Since hypothermia is the biggest killer in the wild, keeping warm is something that we can’t ignore. Even being a little bit cold could have drastic consequences, especially if it’s wet out too. Of course, that problem increases at night, simply because it pretty much always gets colder at night. 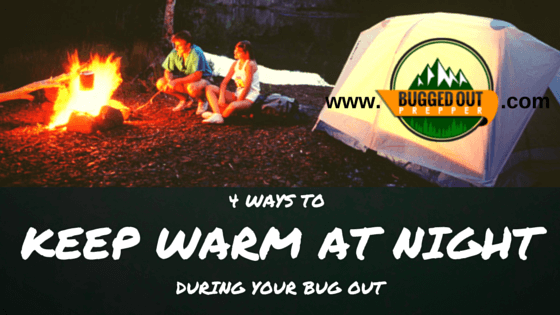 So, how do you make sure that you can stay warm at night during your bug out? The most important single thing you can do to keep warm out in the wild is to keep yourself from getting wet. Water draws heat out from our bodies, just like sweat does. Since most clothing will absorb and hold water, it increases this effect. In fact, most wet clothing will make you lose body heat faster than if you were standing their naked. A wet down coat can make you lose body heat 300 times faster! Proper selection of clothing will go a long way towards keeping you dry. Your outer layer must be water resistant. That’s even better than being waterproof. Water resistant fabrics will cause the water to bead up and run off, like waterproof ones will. The big difference is that water resistant fabrics will also breathe, keeping the inside of your clothes from getting wet from your sweat. The old Army rain ponchos were famous for this. You’d put on a rain poncho, because it was raining, and within a half-hour you were soaked under your poncho, from your own sweat. I always wondered what good they did. You also want to make sure you keep your pack dry. If your pack isn’t waterproof, then you want to make sure that you have a waterproof cover for it or that your rain poncho is big enough to cover it as well. A backpack full of wet clothes and a wet sleeping bag won’t help you keep warm. When traveling through the wild, it’s always a good idea to stop a couple of hours before sundown to make camp. This is even more important when it’s wet and cold out, as the temperature can drop drastically at sundown. If you don’t have your camp ready when the sun falls, you could fall prey to hypothermia before you can get it done. 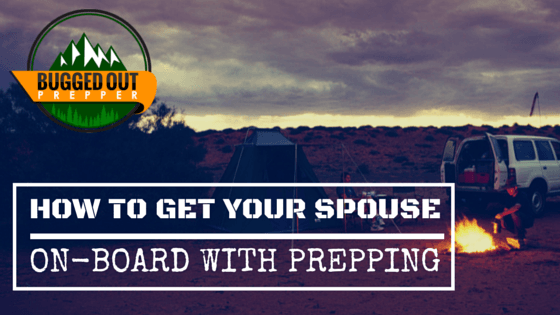 There’s a lot to preparing a proper camp, starting with finding a good place for it. You’ll have a much easier time finding a good campsite during daylight hours, than you will at night. Since you’re probably going to sleep at night, having the right sleeping equipment is extremely important. The most important piece of equipment is your sleeping bag. I’m a firm believer in having a warm sleeping bag. If there’s a choice between two types of bags, for two temperature ranges, I’ll always go with the warmer bag. If I’m too warm, I can always open it a bit; but if it’s not warm enough, there’s not much I can do. That’s why I like the North Face Furnace Sleeping Bag. It’s rated down to zero degrees, which is colder than I ever expect to experience. So, even if I’m stuck bugging out in the worst of weather, my sleeping bag will be warm enough. 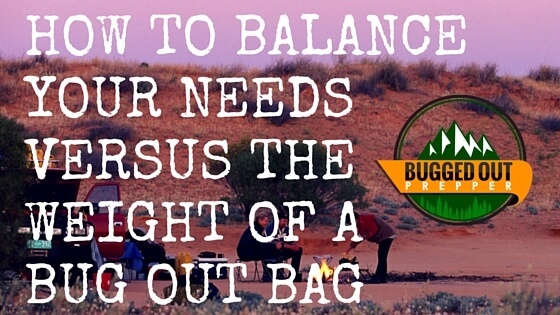 Although the sleeping bag is the most important piece of equipment, it’s not the only one. Sleeping bags tend to crush on the bottom side from your body weight. 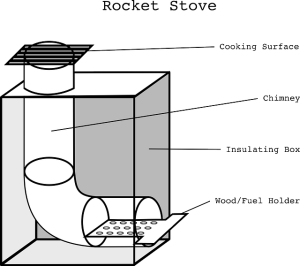 The Furnace is designed with that in mind, having a special padding on the bottom side to compensate for that; but if your bag doesn’t have something like that, you need something to insulate you from the ground. Otherwise, cold ground could draw off your body heat. The easiest way to solve that problem is with an inflatable or hard foam sleeping pad, like the ALPS Mountaineering Lightweight Self-Inflating Air Pad. That provides extra insulation between your body and the ground, eliminating that problem. Another way is to add a rescue blanket beneath the sleeping bag. If you’re going to do this, don’t use the thin emergency blankets, but rather a heavy-duty one. You’re also going to need a good backpacking tent to keep the rain off of your sleeping bag. A double walled tent, like the Coleman Holligan 2 will go a long way towards keeping your warmer. The outer tent cover is actually a rain cover, but it also creates an air space between it and the inner cover, helping to keep heat in. You’re definitely going to want a fire to help keep you warm on those cold nights. Building a fire in wet weather can be extremely tricky, but you can still do it, if you watch out for a couple of details. First of all, make sure that your fire is sheltered from the rain. Building it under some overhanging tree branches will go a long way towards making sure it doesn’t get doused by the rain. Also, make sure that it’s in a place where it won’t be flooded out. Raise it up off the ground a couple of inches, with a bed of rocks, so that it won’t be washed out. Placing a large rock or building a pile of rocks behind your fire will help heat your tent, by reflecting the heat from the fire back to you. The fire will heat the rocks, which will then radiate the heat. That heat will go straight out towards you, helping to keep you and your tent warm. Stack your extra firewood near the fire, so that the heat from the fire can help to dry it out. You’ll also want to cover it, so that the rain can’t fall on it. Dry wood will give you a much better fire, with much less smoke to advertise your position. Sound off in the comments below on other ways you have used to stay warm while out in the wild. 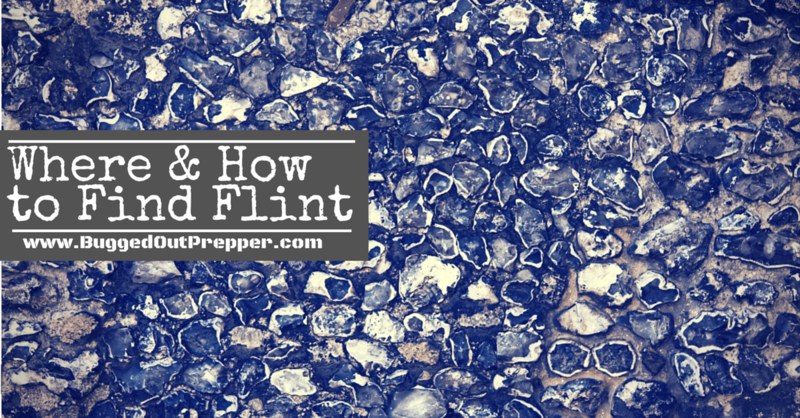 Knowing where and how to find flint is a useful skill to have in a survival situation. “knapping” it (chipping it) to make arrowheads and knives. While most people probably won’t need these skills in a survival situation, you can never be sure. It’s better to know and not need that knowledge, than to find yourself in a situation where you wish you knew. Flint is actually a form of quartz. It occurs naturally in sedimentary rock, often as nodules in chalks and limestone. It can be black, green, white, dark grey or brown in color and is typified by a glassy or waxy appearance. It’s not as glassy as obsidian, but rather more like a dull glass. It fractures along crystalline lines, so it will pretty much always have sharp edges. You can find flint almost anywhere that you can find stone. While some areas of the country are more likely to have it than others, the crushed rock used to pave dirt roads often has some flint mixed in. It can also be found mixed in with other types of stone in streambeds. New construction sites will often unearth flint while excavating, so if you’re trying to find flint, be sure to check out any construction sites near your home. Since flint fractures, it is important to find flint that is not shattered, but rather solid pieces. This can be difficult, as water can get into the flint through air holes and expand when it freezes, causing the flint to crack. Flint that is uncovered during excavation for a building won’t have this problem, as it hasn’t been exposed to freezing. Pieces of flint may not be obvious when you pick them up. In that case, you may need to break the stone open to see what’s inside. You can do this by using a larger piece of hard stone as a hammer and striking across the edge of the stone you want to break. If it is flint, this should cause a piece to flake off, allowing you to see what’s inside. That advice still works just as good today, as it did years ago. While there are some other types of stone which will spark when struck on a knife, only flint has the right appearance, as well as sparking when struck against a piece of steel. If you’re looking for flint that you’re planning on using for knapping, you want to be picky about the pieces you save. Look at them closely, preferably with a magnifying glass, to see if there are any cracks air bubbles. Those air bubbles will cause the flint to fracture in ways you don’t want, so only save stones which don’t have air bubbles in them. Have you every set out to try and find flint? If so, where did you find the flint and how long did it take?